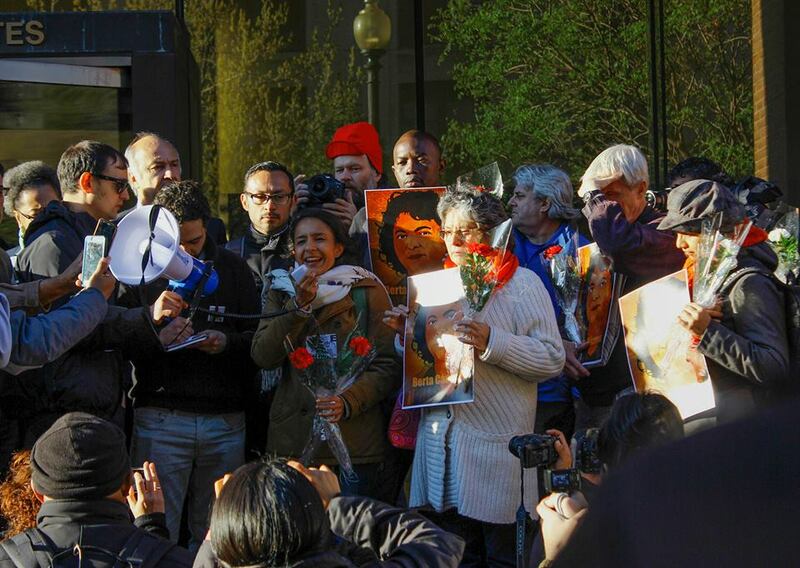 Ask Your Rep. To Co-Sponsor The Re-Introduced Berta Cáceres Human Rights in Honduras Act! You may receive updates from Witness for Peace, the sponsor of this form. Co-Sponsor The Berta Cáceres Human Rights in Honduras Act! Call your Representative NOW and ask them to co-sponsor the Berta Cáceres Human Rights in Honduras Act, H.R. 1299! The violent crackdown on anti-fraud protesters and social leaders since the November 26th, 2017 elections have made the Berta Cáceres Act more urgent than ever. Honduran security forces have been implicated in the deaths of more than 35 people since the elections, as well as systematic torture, forced disappearances, and massive criminalization of the people who are exercising their fundamental rights to free expression and assembly. That US taxpayer dollars are paying for this brutal repression, and US companies are profiting from it, is unconscionable. The Berta Cáceres Act is a landmark bill introduced by Rep. Hank Johnson (D-GA) and currently co-sponsored by 70 Members of the House of Representatives. The Berta Cáceres Act has found broad support including endorsements by the AFL-CIO, the Sierra Club, the Indigenous Environmental Network (IEN), and over a hundred other faith, labor, environmental, and human rights organizations. Berta's family and organization COPINH immediately applauded the action, and hundreds of Honduran human rights organizations have since endorsed the Act. Please call your Representative NOW and ask to speak to his/her Foreign Policy Aide! Because the bill has been re-introduced, all of the bill’s co-sponsors will need to co-sponsor again! If your representative has not yet signed, call them and ask them to add their support as a sponsor of the bill! In your phone conversation, please highlight why this bill is important to you, especially if you have traveled to Honduras or heard a Honduran speaker in your community. And please share this action widely! Thank you for your advocacy at this critical time!